KiS Microsurgical Ultrasonic Instruments by Obtura Spartan are designed for use in endodontic microsurgery. 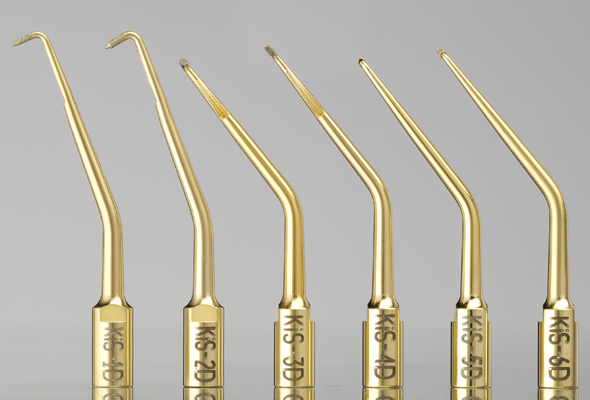 KiS Diamond Microsurgical Instruments have increased cutting efficiency as a result of their diamond coating. The dentin surface is left smooth, yet microscopically rough, which results in better adaptation of root-end filling materials. KiS Microsurgical Ultrasonic Instruments mean fewer microfractures and less leakage.